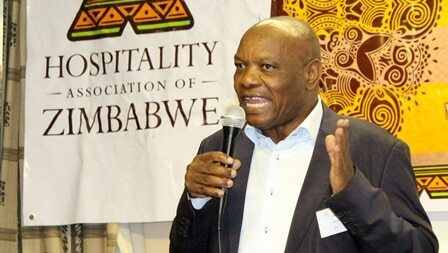 In a subtle remark, Zimbabwe Tourism Authority Chief Executive, Karikoga Kaseke has claimed that President Emmerson Mnangagwa is an efficient business minded person than he is as the leader of the government and should join the corporate world. Kaseke was speaking at a press briefing on the report of the recent China trip by the President and other captains of industries where he said Mnangagwa should quit politics and join the business world as he exhibited good businessman acumen while negotiating multi-billion deals in China. “I had never been in a room where the president spoke. This was my first time seeing him speak to the would-be investors. The president was very, very articulate in his approach. “The Chinese who attended the two business forums were all surprised by the president who was talking as if he was a businessman. I think the president should be in business than in government, I mean it because when I heard him speaking, he was not speaking like a head of state but like some chief executive of some very big company, a clear businessman, who is very articulate. “We think that God knows why he gave us this president to a nation whose people were starving and we in the quasi-government sector, think it was a blessing from God to have a man of his calibre as the Head of State,” said the motormouth Kaseke. He took a dig at the previous regime, led by deposed former president Robert Mugabe, for imposing itself on the Chinese government saying the Chinese never regarded Zimbabwe as a friend. “I never heard the Chinese saying Zimbabwe are our all weather friends during the previous regime, but it is Zimbabwe that I heard saying they are friends of China. Even when there was no weather to talk about. “However, I heard the new president challenging this all-weather friends notion and he talked about comprehensive partnerships,” added Kaseka. He said Mnangagwa advocated for an economically beneficial relationship with the Chinese government. Since he came into power, Mnangagwa has been on a reengagement with the Western countries and has continuously said his priority now is embracing the international economy and modernizing infrastructure. Zimbabwe was once the breadbasket of Africa, but under Mugabe’s policies, the economy was left in ruins. Zimbabweans have suffered under industrial mismanagement, food shortages, a collapsed currency and widespread corruption. Meanwhile, Kaseke told journalists that 23 Chinese Companies were interested in investing in the tourism sector and will be looking to push tourism from Zimbabwe to China.